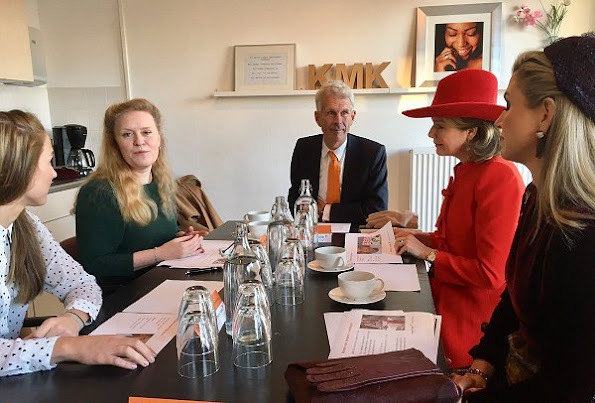 On November 29, 2016, Queen Maxima of The Netherlands and Queen Mathilde of Belgium visited "Rooms with Opportunities" in Amsterdam. Rooms with Opportunities, of welfare organization Combiwel, prepares young people who prematurely left their school to independent living by offering them a job or to earn a diploma. The Belgian royal couple is on their second day of a three-day state visit to the Netherlands. 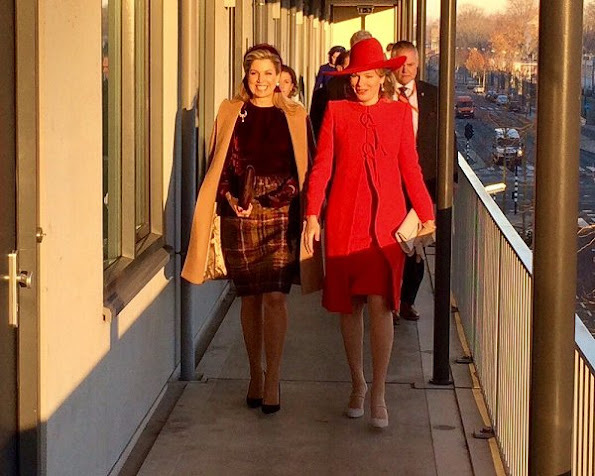 State visit of King Philippe and Queen Mathilde to the Netherlands. 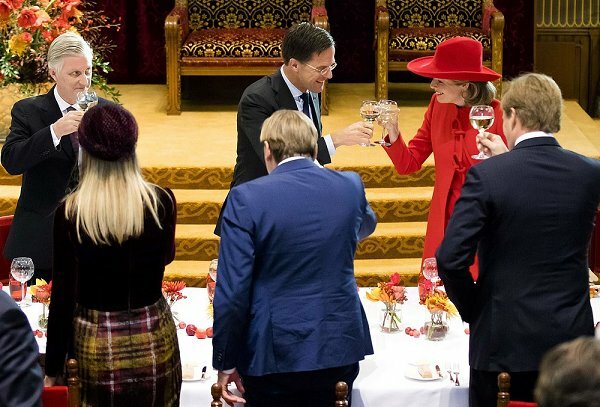 Meeting with Minister President Mark Rutte and members of the Dutch Government. 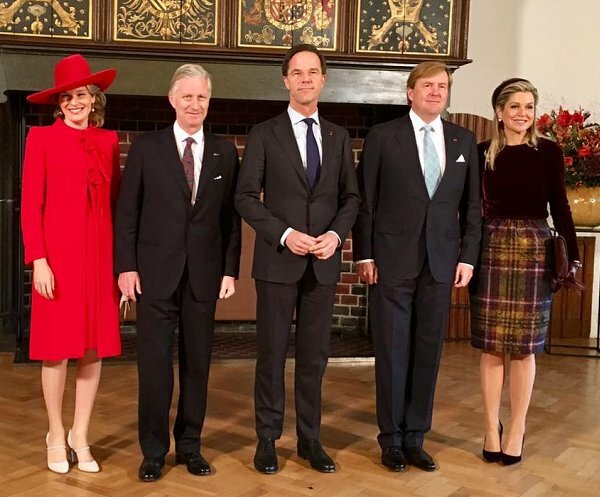 Queen Mathilde, King Philippe, Prime Minister Mark Rutte, King Willem-Alexander and Queen Maxima. 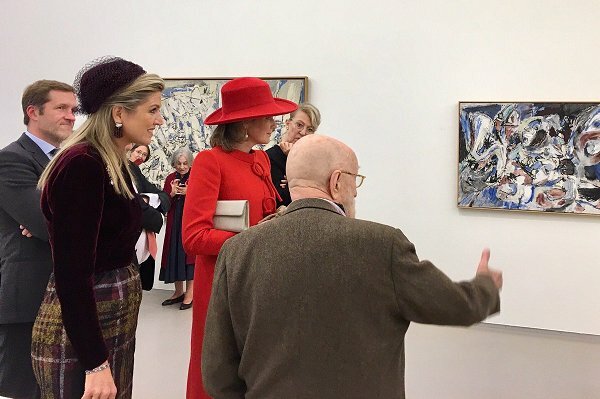 Queen Mathilde and King Philippe, King Willem-Alexander and Queen Maxima and Dutch Prime Minister Mark Rutte attended a lunch at the 'Binnenhof' governmental building complex (Knights' Hall) in The Hague. 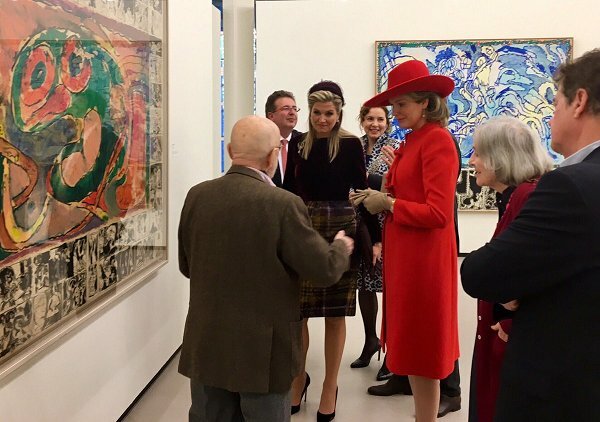 Queen Maxima of The Netherlands and Queen Mathilde of Belgium visited the Cobra Museum in Amstelveen. Wow. 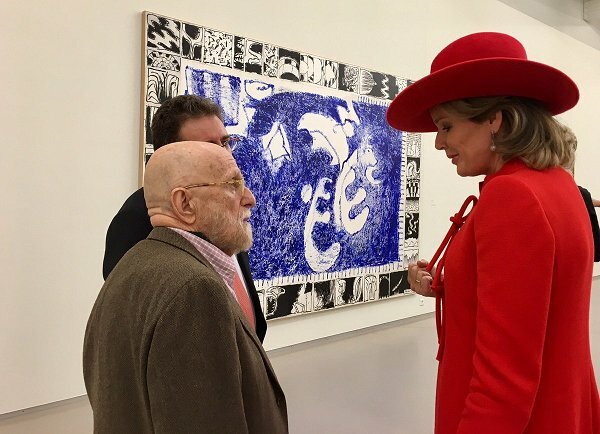 I love the look of QM of Belgium in the second pictur. 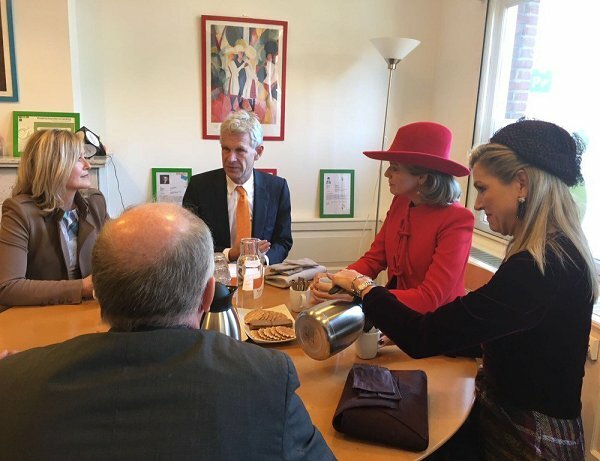 Don't know why do they still were a hat inside a room. But nice on the whole. Love Mathilde's look, especially the hat. The colour is great on her. Maxima has too often struck out with her hair, but this time she gets a five-star plus. If she is using a new hairdresser, she should stick with this one. And the hair style teamed with the great hat is an all around big winner. love the autumn/winter colours of Q Max. 's outfit. I think these two are good friends. Wonder what language they babble in? never, ever heard of the Cobra Mus. of Modern Art... thx! Good one to look up. Mathilde really looks good in red. This time I think she outshines Maxima. I wish Queen Mathilde could ditch the hat..sigh.. 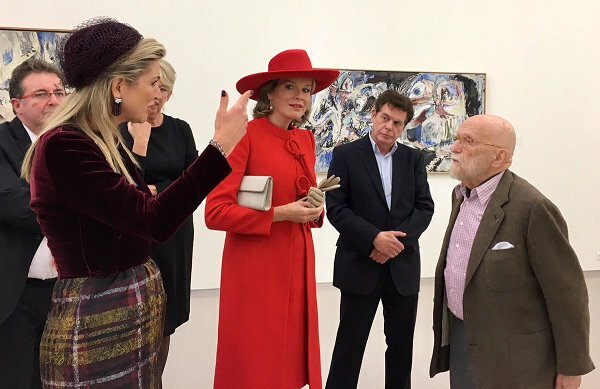 I do not like Mathilde's hat or shoes, however the red is nice.